Singles! Grab a friend and come join us for our 3rd Annual Singularity Picnic. Free food, kickball, horseshoes, and more, plus some really great community! There is a playground at the park and children are welcome, but no childcare will be provided. Although this is a FREE event PLEASE REGISTER ONLINE if you are coming, so we have a good headcount for food. rushcreek.org/events by Thursday, May 24 at 5pm or email . Hey all you 50's+ Singles, don't forget that this Saturday at 9:00am we will be meeting for breakfast at Good Day Cafe in Arlington. We're looking forward to getting to know you and we'll be talking about what kinds of events we want to have in the future. Sign up through the link below so we know you're coming- have a great week and we hope to see you there! We at the Church on Rush Creek believe that life is truly better together. This is for everyone in every walk of life. As singles, the desire for community that truly matters is prominent, but it can be hard to get connected with other people in biblical community. We desire to feel more connected rather than just present. So, we made connection points. 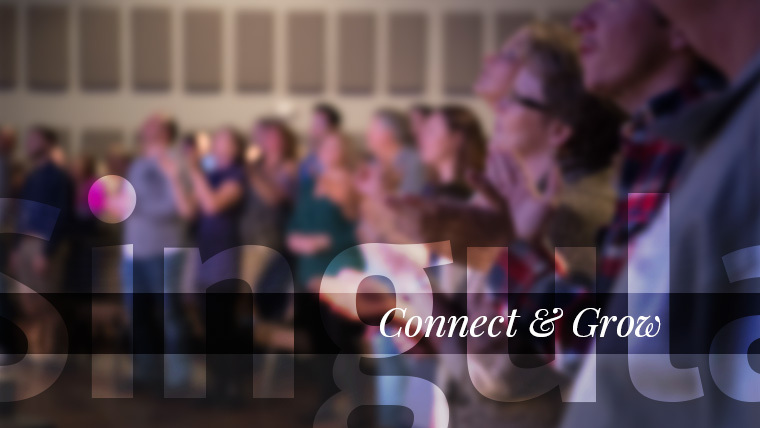 Connection points are a great way to better connect with other singles and leaders in your age and life stage that are part of our church family. Through these connection points, we desire singles to connect in a more communal way to others in our church, get into biblical community, and better connect to the body of Christ at Rush Creek. This will be through different events throughout the year that are for connecting with other singles and singles group leaders instead of just being at a giant event and no one knowing your name. We hope you will join us at our connection points through the year!